Mr Justice Stephens, one of the highest judges in the land, said the compensation of 7,500 pounds each was necessary for the “frustration, distress and anxiety” suffered by relatives. Families subjected to protracted periods of waiting for what should, in theory, be a fairly straightforward legal process will take comfort from the ruling. While all six were killed either by police, army or loyalist paramilitaries not all of the deaths were Troubles-related. This is something the public at first glance may be unaware of. The coroners court is not a criminal trial and no prosecutions can be taken, just recommendations made. Any organisation or individual who has acted properly should have nothing to fear from the process. Mr Justice Stephens knew that in making his ruling yesterday he was setting a precedent and his landmark verdict could now open the floodgates. In doing so he was sending out a clear message to those frustrating the efforts of families and their legal teams. They must now comply with human rights legislation. Delay tactics will no longer be tolerated and failure to hold an inquest within a reasonable period of time will result in penalties. The ruling, while historic, risks being lost amid this week’s coverage of local and European elections but that should not in any way diminish its significance. The days of fobbing off families in the hope of concealing difficult truths must come to an end. Failure to comply will result in state agencies, including the PSNI, Police Ombudsman and MoD being hit with penalties. Both the circumstances and timing of the deaths in question are significant. Only two of the cases involve republicans - the killing of IRA man Pearse Jordan, shot by an RUC officer in west Belfast in November 1982 and that of Peter Ryan, one of three IRA men ambushed and shot dead by the SAS in Co Tyrone in June 1991. The other four families include two men shot dead by the newly formed PSNI. Neil McConville was the first person shot and killed by the new service following a police operation near Lisburn, Co Antrim, in April 2003. The circumstances surrounding his death are disputed. The 21-year-old had been to the hospital to visit his girlfriend who had just had a baby. He was picked up in a car by a friend who shortly beforehand had collected a shotgun from a well-known Belfast criminal alleged to have been working as an informer. There are allegations that police had been tipped off about the weapon pick-up and launched a sting operation involving a special unit. A detective superintendent and inspector involved in the operation both had roles in the previous shooting of 22-year-old Pearse Jordan. The family of 23-year-old Protestant Steven Colwell are also among those affected by this week’s High Court ruling. He was shot dead as he tried to drive a stolen car though a checkpoint in Ballynahinch, Co Down, in April 2006. The Colwell family put their faith in police to handle the case properly. Eight years later with frustrations mounting they have been let down badly by the state in which they put their trust. A third post-Troubles death is that of James McMenamin who died after he was knocked down by a PSNI Land Rover on Springfield Road in west Belfast in June 2005. Had a similar incident happened in England the family would have had an inquest within the year. In northern Ireland, where the wheels of justice turn slowly, nine years on they are still waiting. For those who have lost a loved one monetary payouts bring little in the way of comfort. Yesterday’s ruling, however, was about much more than money. It was about forcing the hand of those who might willingly delay the correct and proper administration of justice. 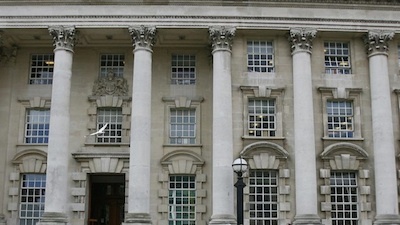 In the case of Troubles killings, with still no mechanism in place to deal with the past, the coroners court is often the only avenue left open to families. But what yesterday’s ruling shows is that the state is still using tactics honed during years of conflict to frustrate the rights of relatives. Delaying the ability of the coroner to rule on controversial killings is an affront to post-peace-process justice. Whatever agenda is being served by delaying coroner’s investigations, Mr Justice Stephens has made clear that delay tactics will no longer be tolerated and it’s time to give answers to grieving relatives.